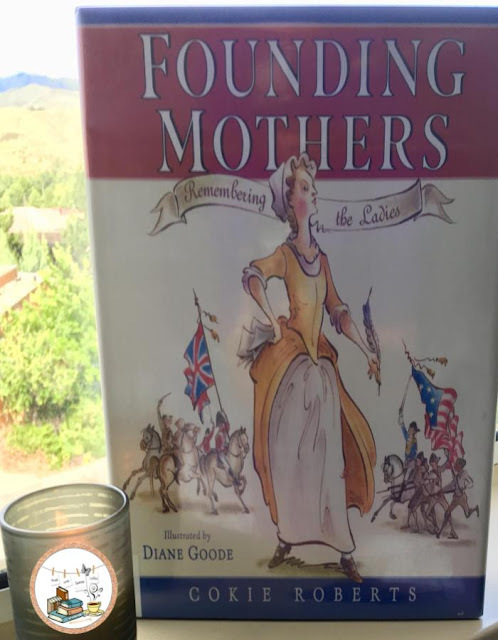 So much is written about our founding fathers, Cokie Roberts shares the other side of history through this nonfiction picture book Founding Mothers: Remembering the Ladies. Through their letters, journals, letters, and lists; Roberts share the tales of the following fascinating women: Eliza Lucas Pinckney, Deborah Read Franklin, Mercy Otis Warren, Phyllis Wheatley, Abigail Adams, Martha Washington, Esther Deberdt Reed, Sarah Livingston Jay, Catherine Littlefield Greene, and Dolley Madison. The book includes a Letter of Introduction to the reader, Women Through the Years timeline, a section on Women Writers, and Women Warriors. Each woman is portrayed through beautiful illustrations completed by Diane Goode; as well as a background of who she was and what she is most remembered by. This is an easy read for upper elementary and middle school students who are interested in finding out more about the ladies who assisted in shaping the United States of America. An incredible resource to have in any 4th-8th grade classroom library. In addition, this picture book supports 5th Grade ELA Literacy Common Core State Standards.